There’s a meaning and motivation behind every title. 1. The song “Impact” just came to me with a Latin/funk feel that I enjoyed and wanted to develop further. I love a good groove and tasty bass playing. So, I had to tap the talents of Reggie Young who I’ve had the pleasure of working with on previous projects. Impact has attitude and just moves you to make an impact in whatever you do. 2. The song “Forgiven” is a tune that just lifts you up out of any situation. It’s a wonderful feeling to be welcomed back and to know that you’ve been forgiven for the wrong that you’ve done to someone. It is such a relief to know that the offense or transgression that you’ve committed is not held over your head or against you any longer. To know that God forgives us and He gives us the same ability to pardon someone else is liberating! 3. I love a good melodic romantic ballad! In the times that we live in “I Love You”, just had to be the title song! We don’t say it enough! It’s the three most powerful words on earth! Love is patient, love is kind, and most of all love is an action word. I started this composition by humming the melody into my cell phone because I didn’t want to forget it (like so many other tunes). My cousin/vocalist, Tiffany Nealy-Peoples was in town and wanted to stay overnight at my house, so I told her she had to sing for her room and board. LOL! I let her hear the track and then the magic started to happen. She was simply amazing! Layering vocal tracks like a craftsman. 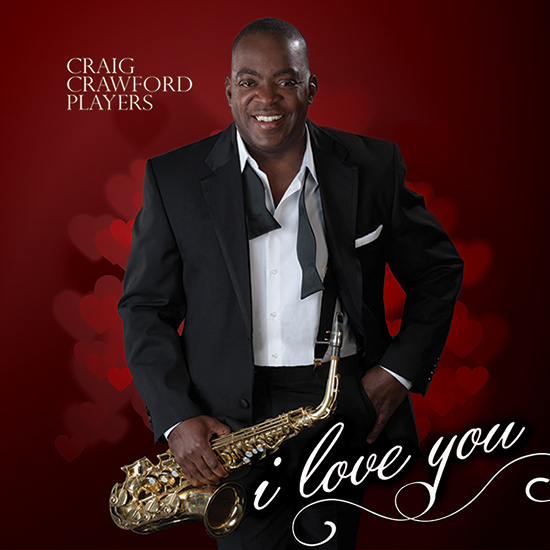 I Love You is an instrumental song that speaks the romantic language of love. 4. “Purpose Driven”, is a pick-me-up song! Some of my friends say, “I’m the hardest working man they know” or “I’m always grinding!” I probably inherited this drive from my parents who are goal oriented people. As a child in the south, my father was a sharecropper (with his mother). During my childhood he worked extremely hard to provide for my mother and my five siblings. I guess it’s in my DNA! I just love the creative process, whether it’s composing, performing or producing music or video. I know my purpose and it drives me daily! The song, “Purpose Driven” hopefully lifts one out of their stagnation and into a place of vision and goals. We’re all given the same 24 hours per day and it’s up to us what we do with our time. Purpose Driven features guitarist Willie “Puggie” Brown, Jr., keyboardist Niles Webster and bassist Reggie Young. 5. “Distractions” are those things in life that try to pull us away from our focus, goal or destination. Distractions can be many things, a cell phone, the internet, TV or even a handsome man or attractive woman! No matter what the plan, there’s always something that competes for our attention. On Distractions, I try to keep my focus while joined by the funk bass of Reggie Young. 6. “Focus” means simply to concentrate. I decided to compose a song that would inspire people to reach their goals. “Focus demands goals! Goals are a set of actions that lead to an end.” – Dr. AR Bernard. The title Focus comes from a series of messages by my pastor, Dr. AR Bernard, who is an incredible visionary and teacher. 7. 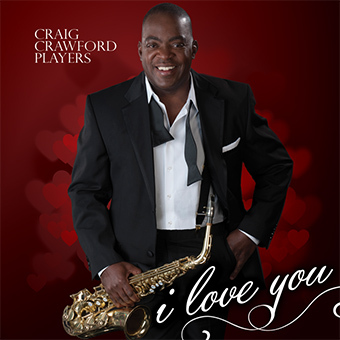 “How Much I Love You”, features the wonderful voice of Malissa Redmond. She’s an extremely gifted singer whose vocal artistry has the ability to heal and inspire your spirit! I’m an admirer of the way she “paints notes with her voice”, I just had to compose a song which included Malissa. The knowledge that she has of her vocal gift is apparent in her smooth sultry delivery. 8. The song “Praying For You”, simply expresses the compassion of many who lend their spiritual and moral support to those in need. The power of prayer transcends any physical or spiritual boundary. It is a two way conversation between you and God, who we believe can do anything! 9. “Start Again”, is a pulsating song that seeks to drive home the message: failure is not an option. If you come to an impasse, it’s important to regroup, reevaluate and start again. Never give up! 10. “Amazing Grace” is a timeless song throughout every generation. I play it often at “live” performances and there’s always a demand for me to record it, so here it is! 11. “We’ve Come This Far By Faith”, is another favorite hymn of the church which reaffirms the growth and progress thru faith in God. 12. “Give Me A Clean Heart” - featuring the vocals of Gale Mayes-Stuart and vocal arrangement by Dana Reed. It’s a song of the heart which addresses our desire to live a life pleasing unto God. 13. “Above Average” is a multipurpose dance song, great for physical fitness like power walking, exercising or a song to get you moving on the dance floor! There’s no need to settle for being average, go for it, do your best to be above average!